Last night my daughter was asking why a mirror "always does that" (referring to reflecting a spot of light). To help her figure it out, I grabbed my green laser pointer so she could see the light traveling from the source and reflecting off the mirror. But as we were playing, I noticed something strange. The shallower the angle, the greater the spread of the split beams and resulting dots. The directionality of the reflection is due to the orientation of the mirror, not the laser pointer itself. Indeed, by rotating the mirror 360° the string of dots would make a full rotation as well. I can count at least 8 individual dots on the wall, but I could only see 6 beams with the naked eye. If you look at the split beam picture you can see a vertical line above the most intense dots. I didn't observe any intense spots of light there. you can see a double image. This was not due to camera shake, just the light reflecting off the dust on the surface of the glass, and a reflection of that light from the rear surface of the mirror. It's been a few years since college physics, I remembered doing things like the double split experiment. I also remembered that light seems like it does some strange things when it enters liquid/prisms. I also know that the green laser has a certain wavelength, and you can measure the speed of light with a chocolate bar and a microwave. Why does the mirror split the laser beam? How does that explain the effects that I saw? Is there any relation to the double split experiment, or the wavelength/speed of light? It should be obvious from this diagram that the spots will be further apart as you move to a more glancing angle of incidence. 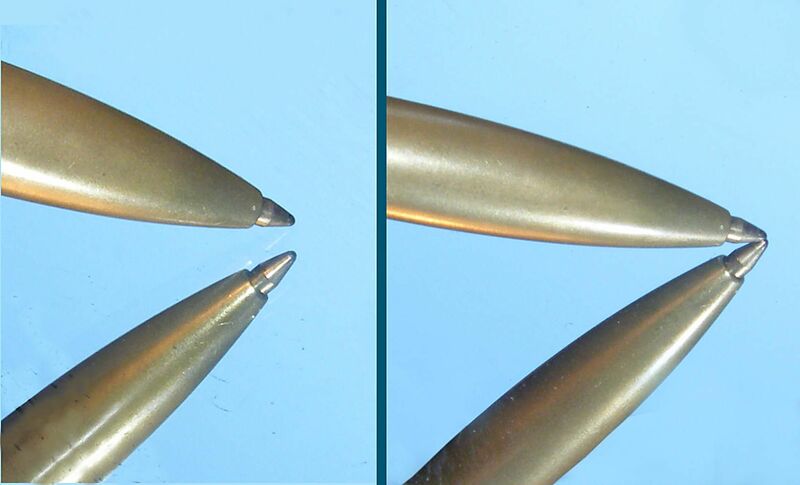 Depending on the polarization of the laser pointer, there is an angle (the Brewster angle) where you can make the front (glass) surface reflection disappear completely. This takes some experimenting. This effect is independent of wavelength (except inasmuch as the refractive index is a weak function of wavelength... 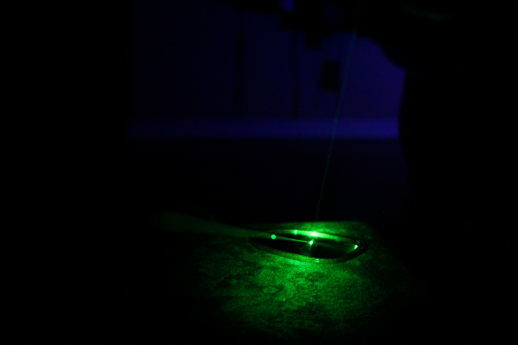 So different colors of light will have a slightly different Brewster angle); the only way in which laser light is different from "ordinary" light in this case is the fact that laser light is typically linearly polarized, so that the reflection coefficient for a particular angle can be changed simply by rotating the laser pointer. You are seeing ghosting in a second surface mirror; most laser applications with mirror(s) - the good or critical ones - use what is called a first surface mirror. The other answers did explain it fairly well already but I wanted to add some terminology and a photo to help explain. 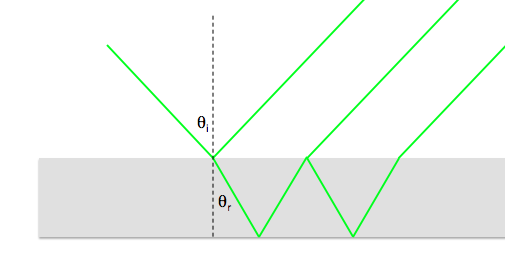 Example of a second surface mirror (left) and a first surface mirror (right). In both pictures, the pen is touching the surface of the mirror. "Ghosting" (a faint reflection from the first layer) is visible in the left image. Not the answer you're looking for? Browse other questions tagged everyday-life reflection laser or ask your own question. Why does my camera's indicator light produce so many reflections off a window? Why does my beveled mirror make triplicate “ghosts”? More light reflected off of double pane windows? How can a green laser be reflected as orange? Compare how much a coherent laser visible green light beam spreads out with a incoherent green light beam. What do I actually see when I look at a laser? 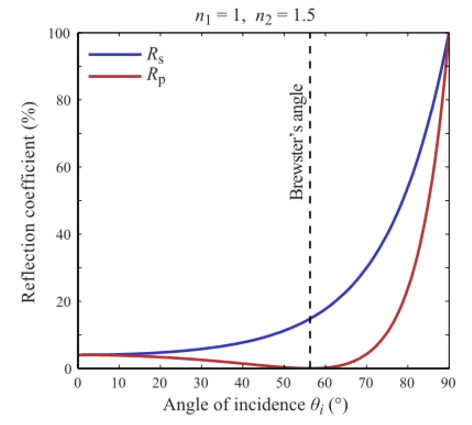 Does light reflected from a plane mirror at a high angle of incidence lose coherence or intensity? 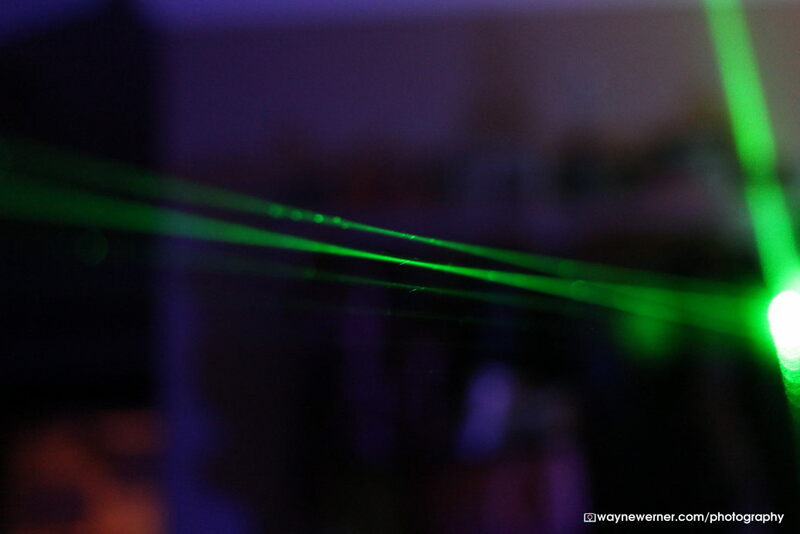 When I shine laser light on a mirror, why isn't the reflected beam noisy?